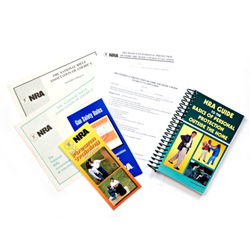 Short Description : To develop in students the knowledge, skills, and attitude essential for avoiding dangerous confrontations and for the safe, effective, responsible, and ethical use of a concealed pistol for self-defense outside the home. More Details: The course is fourteen hours long and is conducted by an NRA Training Counselor in a classroom and at a shooting facility. Bring your handgun, personal defense holster, cover garment and 500 rounds of ammunition.